Whenever there is no machine to make you your beloved cup of coffee there is always Coffee Pixels, the edible coffee bar. Coffee Pixels are bars made of coffee beans, cascara or skimmed milk powder, cocoa butter, a bit of pure cane sugar and pink salt for the perfect balance. It looks just like a chocolate bar, but tastes like a typical cup of coffee. It includes the caffeine boost that many crave, so it’s an actual edible replacement for your espresso or cappuccino. 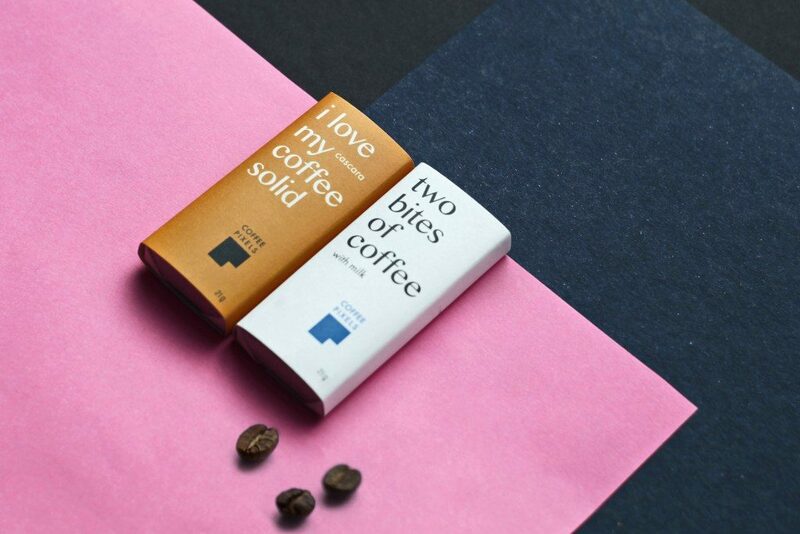 The Coffee Pixels bars come in two tastes. One is Coffee Pixels Cascara consisting of the entire coffee fruit, delivering a pure taste of coffee. The other one is Coffee Pixels Milk, which represents a typical Latte of Cappucino, no snobs allowed! Coffee Pixels are available in select stores and online on the official website where you can buy Cascara or Milk (or a mix) per 4 or 20 bars.